Entry to Hatfield Park is from 9.30am and you must enter via the Ticket Kiosk in the Stable Yard. Each adult is £6 but children (under 16) and dogs are free. 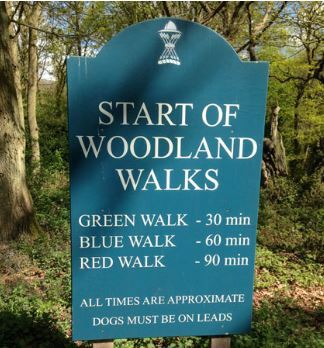 There are four mapped walks to suit all abilities including a wheelchair / buggy friendly route. A shuttle buggy is available on request for less mobile visitors between the car park and the Stable Yard. * If you would like to take part in the wheelchair friendly route, please contact a steward in the Stable Yard for a mapped route.